James Gunn"s Guardians of the Galaxy Vol. 2 (2017) will delve deeper into uncovering Peter Quill"s father and his birthright. From what I have been hearing, reviews and screenings are reporting positive feedback. 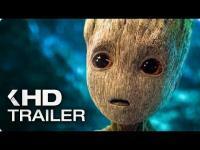 Chris Sullivan, Pom Klementieff, and Chris Pratt star in Guardians of the Galaxy Vol. 2.